Read about what your life will be like when you study in Chicago, along with detailed information about the city’s 28 universities. 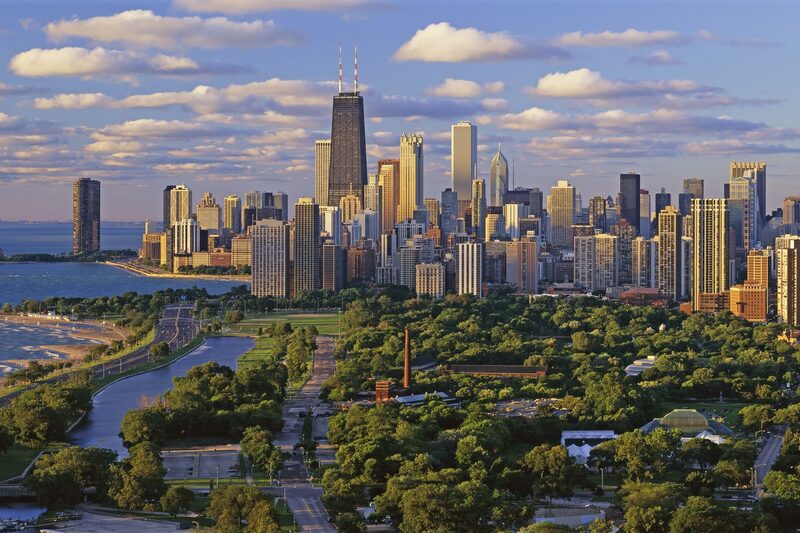 The city of Chicago is the third largest in the United States with over three million people living there. This makes it a very diversified environment in terms of the arts, entertainment, business, and education. The city boasts over two hundred art galleries within its limits. Students of the arts find it a wonderful place to learn more about their craft, as well as find space for their own exhibits. The city also has over two hundred theaters. Chicago is the land of musicals, theater and extraordinary performances. The city has over seven thousand restaurants making it the perfect place to wine and dine. Most of these restaurants have chefs who are doing their trade working to get the Michelin standard. The people of Chicago are industrious and ready to try out new things. The city itself is very industry and business oriented. It is easily accessed through major highways from all sides of the nation, as well as through an international airport. Like what you hear? Maybe you should study in Chicago! Chicago became incorporated in 1837. Through the years, the city has grown rapidly becoming a global city with the second busiest airport in the world. The city has focused on finance on an international level as well as local. Chicago is strong on commerce, and industry. Chicago made history by being the first US city to have a steel railroad in 1865, and went from strength to strength since then. The city also focuses on technology with some of the major tech companies calling Chicago home. The city boasts over five major highways within its limits. It attracts over forty million visitors from the US alone, and increasing numbers of international visitors are finding that Chicago is a fascinating insight into the life and culture of the USA. Chicago is very well represented through visual arts, films, novels and theater performances. Chicago gave birth to house music, and now has a rich culture of Jazz, Blues, and Soul music. Chicago has many restaurants and eateries. You can get fast food, or carefully mastered recipes from restaurants in the city. Experience a delightful culinary experience, eating bagels, to the city’s famous pizzas for a culinary adventure. The city is graced with a very exciting bar, pub and nightclub scene. There are hangout joints for any type of scene you’re looking for. There are cool, ultra modern bars for those who prefer chic night outs. Chicago offers it all. During the day, many students visit parks where there are often various musical events. Classical musicians and other artists hold open concerts, while during the summer you can join in a workout group. Ballet, or a free performance by Broadway performers, orchestras and opera singers. The events are mostly free especially at the park. Chicago has great street festivals where students can come face to face with the various cultural groups of the city. The city has art festivals with over a hundred and fifty artists displaying their work. The city hosts festivals celebrating culture, the heritage of the people through food, and drink. There are also festivals that celebrate the city itself. If it’s not the city, there are film festivals that draw in millions of international people, highlighting over a hundred films each year. Chicago is a large industrial city and you can’t get bored no matter what.